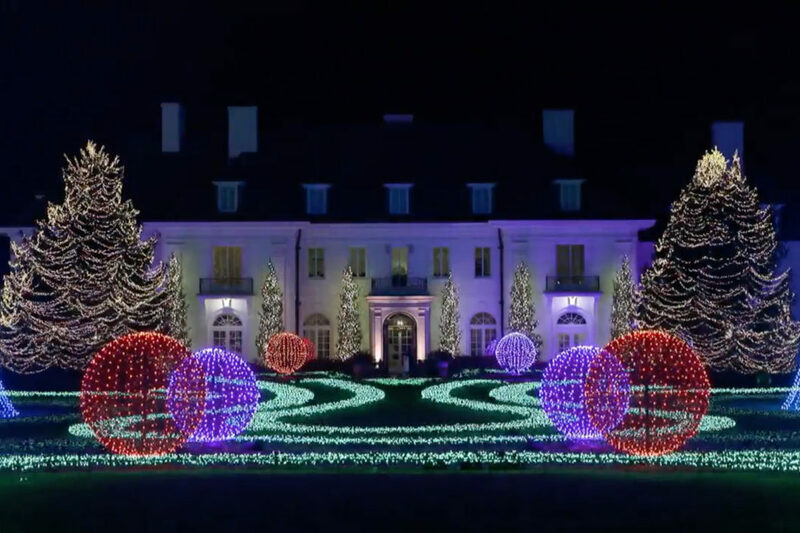 If you enjoy Christmas lights and Christmas lights dancing to music, then the Indianapolis Museum of Art has a treat for you! 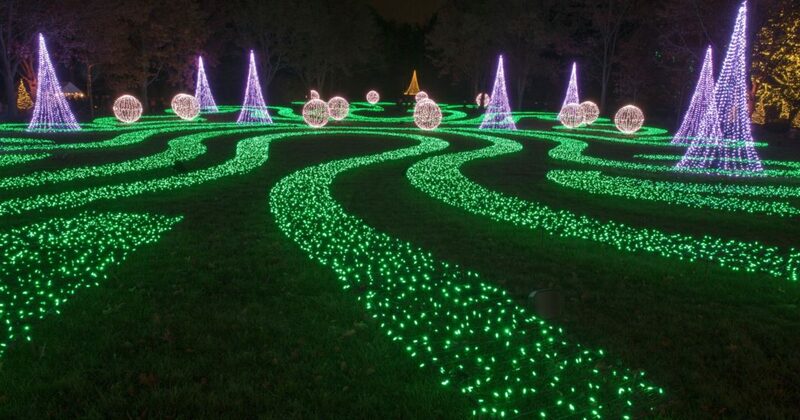 For the second year in a row, Newfields, a 152 acre campus for the IMA, is hosting an enormous multicolored light and music display. How big is enormous? A million and a half lights make an appearance at this event. Now, that’s a lot of lights! Winterlights at Newfields is just over an hour from Lafayette, IN, and it is a great special event to make tradition for your family. During the month of December, Santa comes on Tuesdays and carolers sing on Wednesdays. On December 6th, 2018, the Holiday Hullabaloo will offer extra holiday shopping fun. IMA members get a special discount at all of these events, including $10 off admission on December 16th & 17th. On the Newfields campus is the Indianapolis Museum of Art, which is always a cool place to check out. Come early in the day to visit the IMA and its current galleries. Also on the Newfields campus is the Lilly House, which is rich in history! “In the evenings, the historic Lilly House mansion will remain the backdrop for the Landscape of Light, where over 300,000 lights dance to Tchaikovsky’s The Nutcracker. After hearing the captivating music, guests are welcomed inside the front door of the Lilly House to discover stunning holiday décor and floral displays.” Beautifully designed and kept, the Lilly House will inspire your holiday decorating for next year! Admission to the IMA during the day or Winterlights in the evening include entrance to Deck the Halls at the Lilly House. Therefore, it’s open from 11:00 A.M. – 4:00 P.M and 5:00 – 9:00 P.M. from November 18th, 2018 – January 6th, 2019. This exhibit runs from November 18th, 2018 – January 6th, 2019. Open from 5:00 – 9:00 P.M. every night. Checkout Newfields on Facebook, Google, and Yelp for helpful reviews! For up-to-date information on YOUR Indiana area neighborhood or a FREE Seller Consultation – call The Romanski Group at (765) 293.9100. Using an experienced team is the way to get your home ‪SOLD‬! You deserve the BEST Realtor in the Lafayette Indiana area! Learn more about our Guaranteed Home Sale Program!